Is your wardrobe looking stale? You don't have to buy a whole new set of clothes for your closet - you can revive your look with new jewelry! Moonlight Beads in East Freetown, MA offers handmade, unique and elegant beaded jewelry pieces to give your outfits a new look. I've been beading for 20 years and can provide you with a wide assortment of earrings, necklaces, bracelets, key chains and lanyards. Visit our store today to brighten up your favorite outfits. 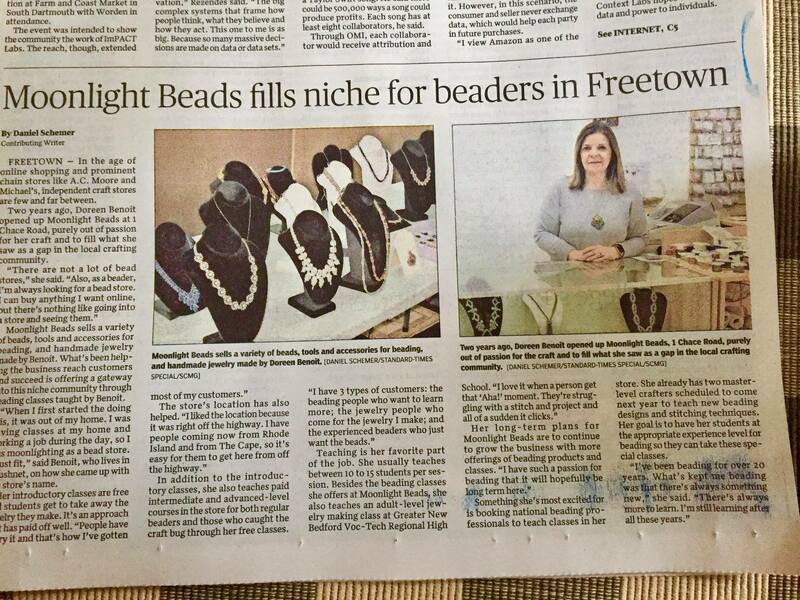 Moonlight Beads conducts free beginner's classes for anyone who wants to learn how to make their own jewelry. We'll set you up with a kit full of all the materials you'll need and guide you through the process. You can come on your own, bring a friend or make it a girls' night out. Start sporting your own jewelry creations by signing up for a class today. We also have the supplies you'll need to design and construct your own beaded jewelry. Discover the charm beaded jewelry can bring to your outfit by visiting our store today. Click on the above image to learn more about Moonlight Beads and what we're all about. Copyright © 2019 Moonlight Beads , all rights reserved.